From historical sites to home gardens, we all rely on pathways to get us about the property in a fast, efficient, and safe manner. Whether it consists of concrete sidewalks or dirt access roads, your pathways perform an important function throughout the year with little need for upkeep. Rainwater is one issue that creates a wide range of challenges for property owners all over the world, as a deluge of moisture can quickly erode and sabotage the structural integrity of your system. When water runoff is sabotaging your property, it’s important to find a soil stabilizer that is designed to focus on moisture protection and cohesion for your paths. Howell Pathways has combined with Klingstone Paths to provide the best pathway stabilizer to Texas properties and beyond. Our unique polyurethane sealer works as a long-term solution that outperforms any other products in the industry. Many sites struggle with creating pathways that are permeable while still being compliant with the Americans with Disabilities Act (ADA). Our patented solution provides both! We’re passionate about the benefits that our product can provide, and our focus on the science behind our pathway sealant helps to drive the best results. Today, we’ll discuss the engineering needs of a standard pathway as well as the changes that can occur when moisture is introduced. 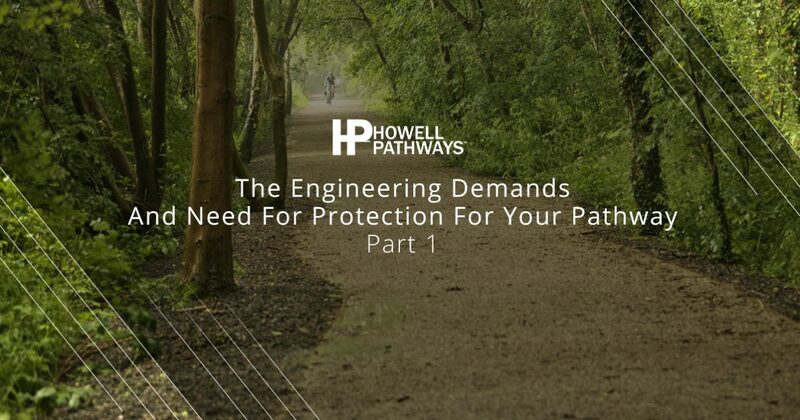 If you’re looking for a cost-effective solution for your path problems, Klingstone Paths and Howell Pathways are here to help! Load bearing capacity is the amount of support that the soil can provide for any external loads that are applied to the ground. The load strength of your soil pertains to how much weight can theoretically be placed on the material without failing. Shear strength is a measure of your material’s ability to resist shearing or coming apart. Shear resistance derives from the strength created from friction and interlocking particles within the soil. The higher your shear strength, the better able your material is to resist ripping and breaking. Natural pathways perform better when they are constructed properly with the correct materials. In most cases, aggregates such as granite and other crushed stones can constitute the building blocks of a pathway, with silt, clay, and sand working to make up the rest of your materials. Paths comprised of these materials will naturally create a loose surface that looks great and crunches underfoot for the full natural effect. Beneath this quarter-or-so-inch of loose soil sits your core path, composed of compacted and treated soil that provides the strength your pathway needs. When your natural pathway becomes inundated with excess water, runoff and stability issues can create serious concerns and may result in costly repairs for your property. Next time, we’ll highlight the balance between moisture content and path integrity. One way to protect your paths from degradation is to use our soil binder from Klingstone Paths. 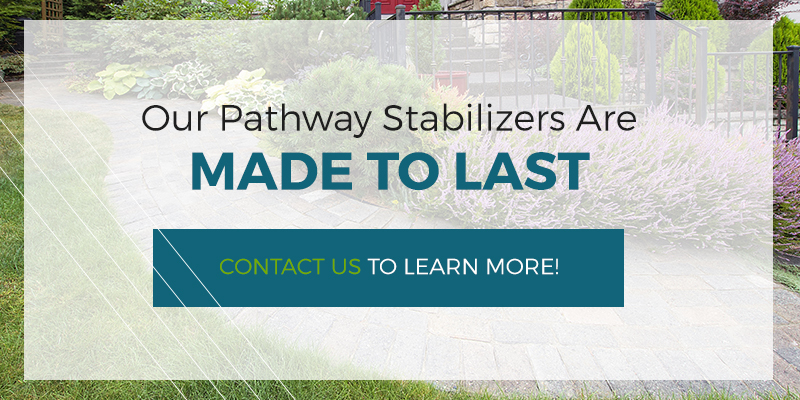 If you’re in need of a quality pathway stabilizer in Texas, Howell Pathways is here with the products and expertise to create long-term solutions. From DIY garden paths to sprawling historical sites, our gravel stabilizer provides the coverage needed to make your pathway safe, sturdy, and ADA-compliant. Contact us today to learn more or to purchase your Top Rated Local® soil binder today!